In March, the AMSE Special Needs Awareness Partnership (SNAP) Club held a Special Needs Awareness Week at VCHS. This week included promoting awareness about physical disabilities, learning disabilities, autism, and Down syndrome. 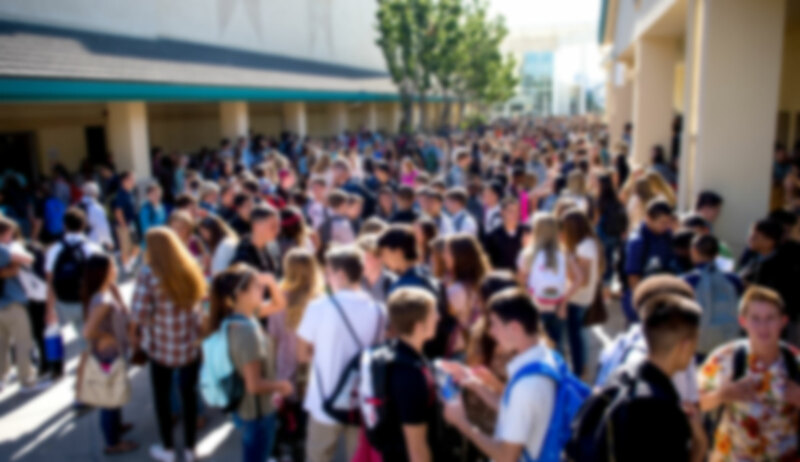 Throughout the week, high school students watched awareness videos in their third-period class that related to the theme of the day. The week also featured speakers and special guests. 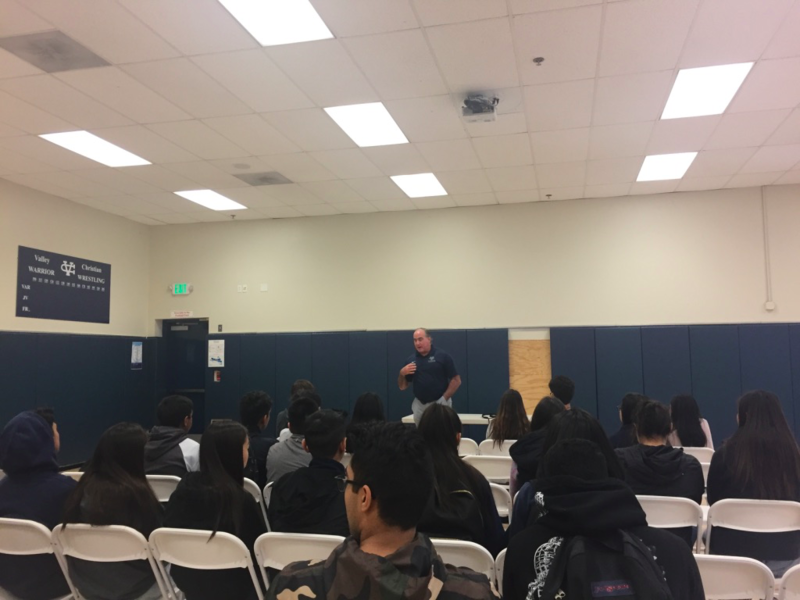 On Monday, Mr. Machado spoke to students about his time as a Special Education teacher and how he used his experiences to found the Football Camp for the Stars Program. 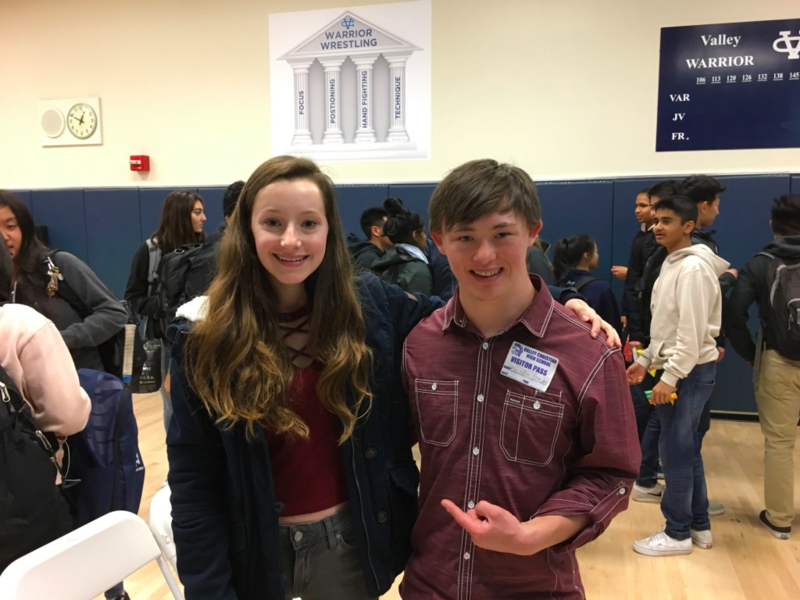 On Thursday, guest speaker Brandon Gruber, who has Down syndrome, shared his story about how he was bullied in high school. 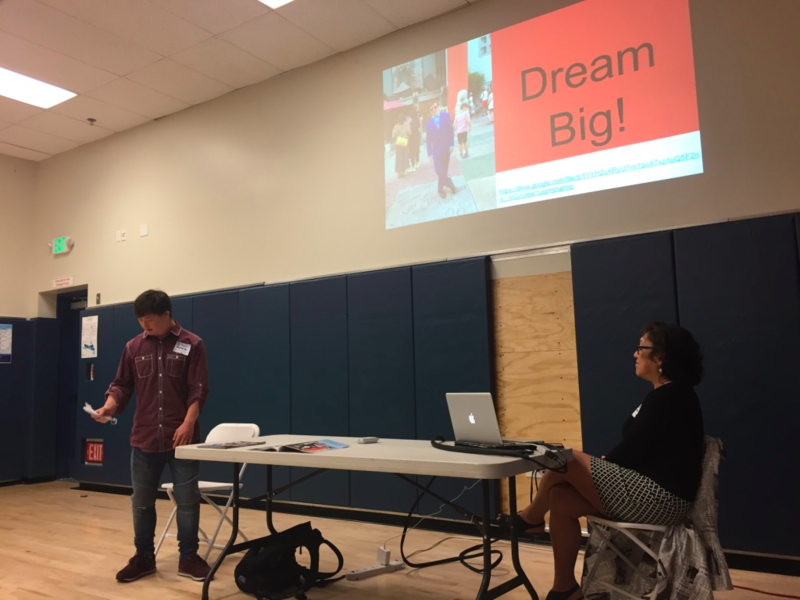 Brandon spoke about how he stayed strong and was able to change the world around him. 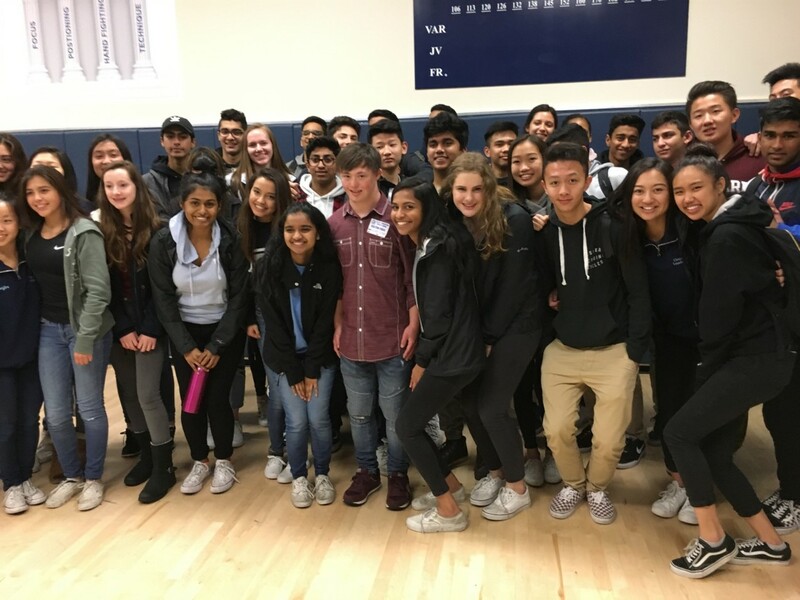 On Friday, different volunteer organizations from across the Bay Area came in during lunchtime so that VCS students could sign up and make a difference in the special needs community. Mr. Machado speaks to students about his experiences with the Special Needs Community. Ariana Morgan with guest speaker Brandon Gruber. 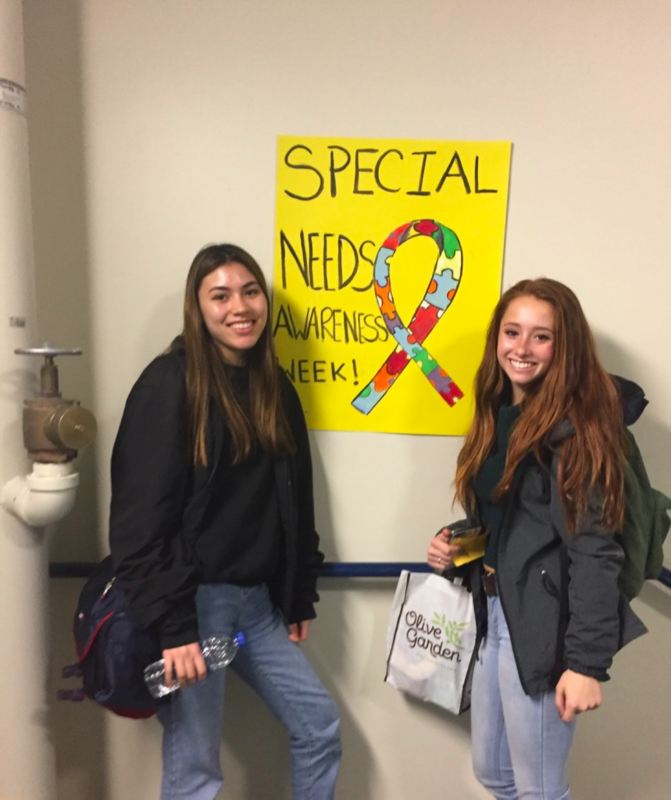 Hannah Homer and Lexie Wilson pose with one of the posters promoting Special Needs Awareness Week. Brandon Gruber presents his story to VCHS students with a special message for everyone. VCHS SNAP Club students show their support for Brandon and the Special Needs Community.